High Borrowdale has many layers to its history, and I will be exploring its life from the 1200s to the 1900s in other blogs. But for now my focus is on the most recent layer of the story – not as a lived-in farm, but as a meadow brought to life. How long does a new meadow take to find its voice? In the early 2000s the Friends of the Lake District, driven largely by Jan Darrall’s daring vision, took the decision to create an area of upland meadow on a stretch of grazed riverside grass beside the abandoned farm buildings. At the time, Jan told me, there was more negativity than optimism from others. A lot of people, conservationists included, said it wasn’t possible to start a meadow. Ten years later you’d be forgiven for thinking this was scepticism, but back then this project was one of the first of its kind – a new meadow in an upland area. By 2004, with the strong support of Val Hack, everything was ready. 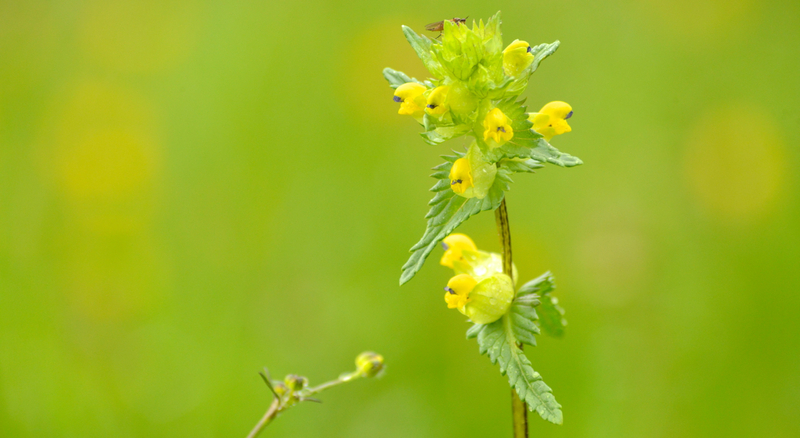 Val was instrumental in planning the entire process, including growing yellow rattle at her own home – a plant that’s essential for supressing grass and allowing a richer meadow to thrive. As more has been learnt about creating meadows it seems it’s not essential to be so precise about seed gathering and drying, but at the time, that was the method used. The team predicted that from the initial creation, a meadow would take twenty years to find its full voice. All was ready in 2004 but before the process could start, the rains came. And they stayed. Summer was a wash out. There was nothing to do but wait. In 2005, the weather was fairer, with dry, warm days in spring, and rain following the first seeding of the prepared ground. A hay crop was taken from the land in September, and cows were reintroduced to tread and fertilise the land. The next summer arrived in the midst of timid expectation and baited breath. What would appear? Hopes were cautiously low, but the land had changed. It wasn’t just buttercups and clovers that grew – ox-eye daisies appeared, followed by many others – melancholy thistles, pignuts, vetch, betony, bird’s foot trefoil, harebells. 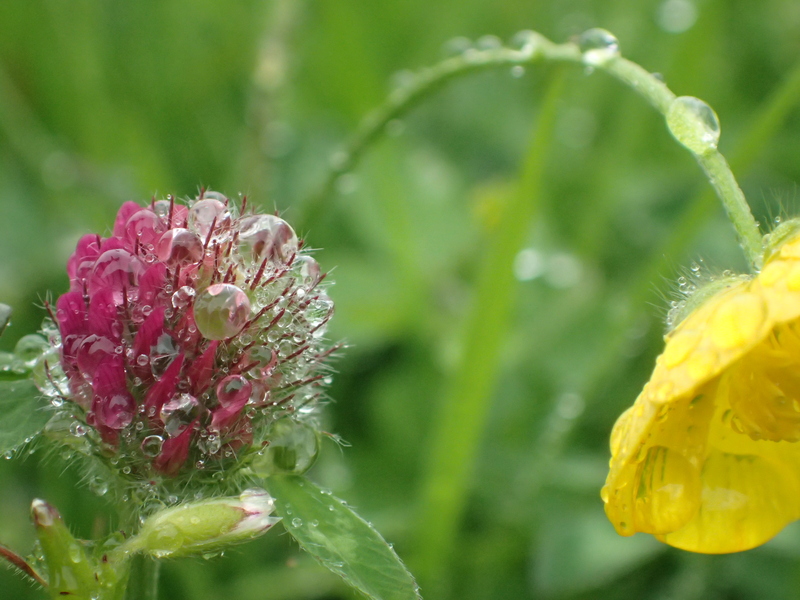 There’s a long, long list, and the ecological surveys carried out in 2008 and 2014 show that the richness and variety of the meadow is growing from strength to strength. In a way it all sounds so simple when you see it in writing. 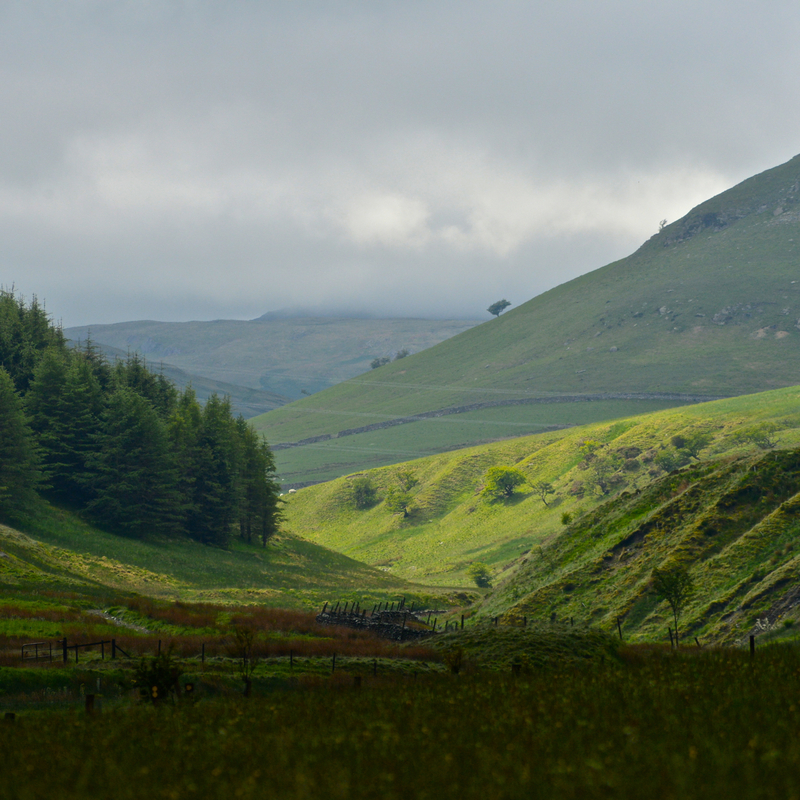 It seems so natural within the wide open spaces of Cumbria. But when you think about the wider context, it’s not quite so simple, or common. Since the 1940s, the number of wildflower meadows in the UK has declined severely. Only three percent remain. That’s a ninety-seven percent drop. Since the 1940s, the number of wildflower meadows in the UK has declined severely. Only three percent remain. That’s a ninety-seven percent drop. This harsh reality is like a slap in the face, and it’s frightening. Scores of invertebrates – bugs, beetles, flies, midges, moths, butterflies, crane flies – depend on each flower and grass found in a meadow. Scores of birds depend on these scores of invertebrates. The chain of nature is complex and fragile, and increasingly vulnerable as its individual links are weakened. Science can only go part way to explain the interconnections between grasses, bugs, birds, mammals and the quality of soil that supports us all, but it proves enough to show that each individual part is vital to the life of the others. When the quantity of something so valuable declines so severely, its preciousness intensifies. And it’s not just science. It’s beauty. Even without any scientific, ecological or biological knowledge, who can remain untouched after spending time in a wildflower meadow? The Friends of the Lake District planted a second stretch of meadow in 2013, and it is thriving: they created this using the now common technique of green hay, where a neighbouring site is cut, just before it is ready to become hay, and the resulting ‘green hay’ is spread onto the new site, without drying or wilting. It’s now possible to compare the two sites and observe how the different methods work. Friends of the Lake District has also managed the planting of 10,000 native trees in the valley. Go to The Friends of the Lake District website here. Thank you once again for gorgeous pictures, Rob Fraser.